You know this thing about Lion King Games? 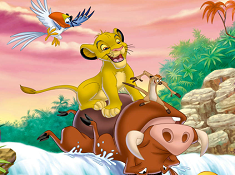 Welcome back on cute-games.com where, we have a new category of games named Lion King games and we invite you to try them because here you`ll meet all the characters from the movie with the same name. In Lion King Games you can find 15 games that we've published for these kids and childrens that are interested to play Lion King Games, this game gategory have been created on 28.03.2016. These games with Lion King Games have been voted 1 times and the avarage of vote is 5.00 stars. We advice you to play the last flash game from Lion King Games, The Great Hunter that have been published on 02.04.2017 18:09. 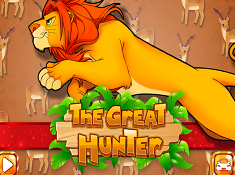 The Great Hunter its a part of Lion King Games category and until now its played 1176 times. Try it now on Cute-Games.com! If your like the The Great Hunter game you can write a comment in the game page. Recommend this game to your friends if you like it! Timon and Pumba Differences its a part of Lion King Games category and until now its played 885 times. Try it now on Cute-Games.com! If your like the Timon and Pumba Differences game you can write a comment in the game page. Recommend this game to your friends if you like it! 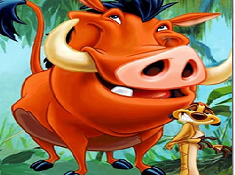 Timon and Pumba Adventure its a part of Lion King Games category and until now its played 1284 times. Try it now on Cute-Games.com! 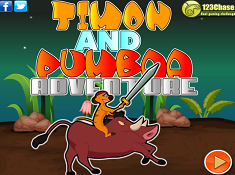 If your like the Timon and Pumba Adventure game you can write a comment in the game page. Recommend this game to your friends if you like it! The Lion King Differences its a part of Lion King Games category and until now its played 1098 times. Try it now on Cute-Games.com! If your like the The Lion King Differences game you can write a comment in the game page. Recommend this game to your friends if you like it! Sort My Tiles The Lion King its a part of Lion King Games category and until now its played 1095 times. Try it now on Cute-Games.com! 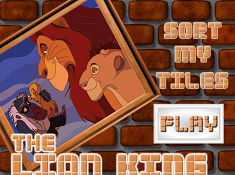 If your like the Sort My Tiles The Lion King game you can write a comment in the game page. Recommend this game to your friends if you like it! Lion King Numbers Hunt its a part of Lion King Games category and until now its played 1177 times. Try it now on Cute-Games.com! If your like the Lion King Numbers Hunt game you can write a comment in the game page. Recommend this game to your friends if you like it! Lion King Jigsaw its a part of Lion King Games category and until now its played 1100 times. Try it now on Cute-Games.com! 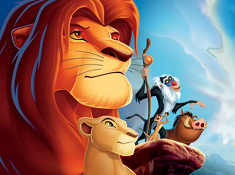 If your like the Lion King Jigsaw game you can write a comment in the game page. Recommend this game to your friends if you like it! 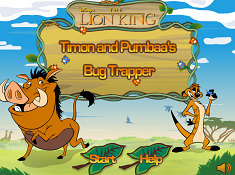 Timon and Pumbaas Bug Trapper its a part of Lion King Games category and until now its played 1122 times. Try it now on Cute-Games.com! If your like the Timon and Pumbaas Bug Trapper game you can write a comment in the game page. Recommend this game to your friends if you like it! 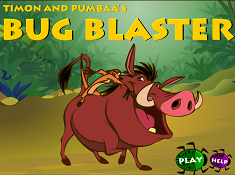 Timon and Pumaas Bug Blaster its a part of Lion King Games category and until now its played 1129 times. Try it now on Cute-Games.com! If your like the Timon and Pumaas Bug Blaster game you can write a comment in the game page. Recommend this game to your friends if you like it! The Lion King Spot The Difference its a part of Lion King Games category and until now its played 1060 times. Try it now on Cute-Games.com! 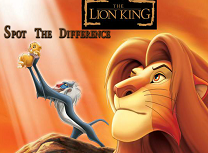 If your like the The Lion King Spot The Difference game you can write a comment in the game page. Recommend this game to your friends if you like it! 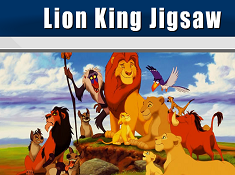 The Lion King Jolly Jigsaw its a part of Lion King Games category and until now its played 1207 times. Try it now on Cute-Games.com! 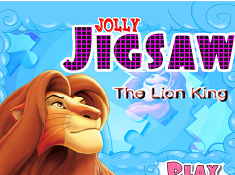 If your like the The Lion King Jolly Jigsaw game you can write a comment in the game page. Recommend this game to your friends if you like it! The Lion King Hidden Letters its a part of Lion King Games category and until now its played 993 times. Try it now on Cute-Games.com! If your like the The Lion King Hidden Letters game you can write a comment in the game page. Recommend this game to your friends if you like it! Pumbaa Dress Up its a part of Lion King Games category and until now its played 1168 times. Try it now on Cute-Games.com! 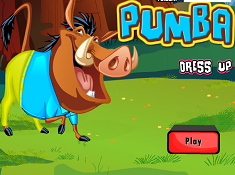 If your like the Pumbaa Dress Up game you can write a comment in the game page. Recommend this game to your friends if you like it! 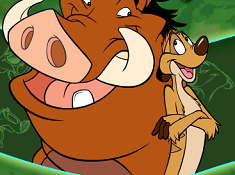 Timon and Pumbaa Grub Ridin its a part of Lion King Games category and until now its played 1375 times. Try it now on Cute-Games.com! If your like the Timon and Pumbaa Grub Ridin game you can write a comment in the game page. Recommend this game to your friends if you like it! The Lion King Timon and Pumbaas Sudoku its a part of Lion King Games category and until now its played 1019 times. Try it now on Cute-Games.com! 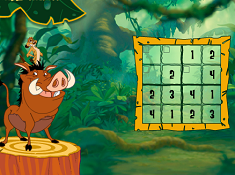 If your like the The Lion King Timon and Pumbaas Sudoku game you can write a comment in the game page. Recommend this game to your friends if you like it! Find More About Lion King Games! Lion King is a musical animated movie produced by Walt Disney Pictures in the year 1994 and presents the story of a king of animals who lives in the fictive place named Pride Lands in Africa. The lion`s name is Musafa and he is Scar`s brother, Sarabi`s husband and Simba`s father and also, he is the king of Pride Lands where, everybody loves him and respect him until the day when, Simba was born. Scar is also known like Prince Taka and he always was thining that he will be the next King but when Simba appeared Musafa said that he is the next King of Pride Lands and Scar decided to take his revenge. After many bad things that Scar did to make Musafa`s and his family life hard, one day, he succeed to kill Musafa and because the pain was too big, Simba just run away from his home and his mother and Scar remained the new King. Nala, a female lion who is Simba`s best friend and girlfriend was looking for him but she doesn`t found him and because he never appeared everybody was thinking that he is dead too. In all this time, Scar was making his own rules without asking everyone if it`s good or not and Simba`s mother was suffered because he lost his husband and son and he remained with that evil lion who treated her very bad. After many years, Nala goes to explore the jungle and in her way she meets with a lion and after many seconds to watched him she realized that he is not just a lion, he is Simba. Nala started to cry and said to him that everybody things that he is dead and he have to come back to beat Scar and to save his mother but Simba doesn`t want to hear anything. To change the subject, Simba bring Nala to see how he lived and he presents to her his new friends Timon and Pumbaa, a meerkat and a warthog who Simba met when he escaped from his home. The two animals are very fun, positive and a little dumb and also, they care of Simba like real friends and now, when Nala wants to bring Simba back home they decided to go with them. Hearing that and knowing that he has to save his mother, Simba is ready to return and to destroy Scar to avenge his father dead and also all his sow who are maltreated of the new King and his group of hyenas. When Simba arrived in Pride Lands, everybody was very happy and in the same time they were thinking that this is a dream and Simba`s mom, was more then happy and more then thankful because her son is alive. The only one who was scared and nervous was Scar because he knows that Simba has to be the King and to finish with it, Scar tryied to kill Simba in the same way that he killed Musafa but Simba was stronger that him and in the end the one who died was Scar. The story ends with an happy end and with the new king and queen who were Simba and Nala and in Pride Lands the peace and love return for everybody. The story doesn`t end here because the movie has two parts and in the second part you will meet Kiara who is Simba and Nala`s daughter, a little lion girl who bring the story to life again. Timon and Pumbaa were elected to be Kiara`s nannies and to take care of her in every moment but, Kiara profited of the fact that the two were a little silly sometimes and she escaped. She just ran away, hiding in the jungle but she was lost and the destiny made that she met Zira, a female lion who was expelled from Pride Lands because she was Scar`s wife. Zira and his boy named Kovu who is also Scar`s boy, were planned to destroy Simba by making Kiara thinking that her father is a criminal and he don`t deserve to be a king. After hearing all of this Kiara decided to return home with Zira and Kovu and to confront her father but when they arrived, Simba and Zira started to fight and to say a lot of things. In that moment Kiara realized that Zira says only lies and she along with Kovu decided to make peace and to be together to bring the peace back again in the castle so, they decided to marry. They were now the princess and prince of Pride Lands and everybody was happy again to see that always love can beat hate because when love really exists, nothing can make it disappear. 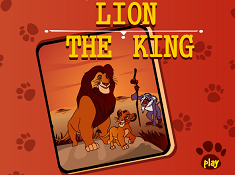 We are sure that you liked this story very much so, we invite you to play our online Lion King games where you`ll have the chance to explore Pride Lands and also, to spend some time with some of your favorite characters. Cute-games.com is ready to bring you on great adventures and challenges where you`ll have to show that you are a good player and also, a hero. For more free Lion King games we suggest you to stay tuned on our site so, you will be able to see what other surprises and beautiful games we had prepared for you.